Lets get real- we all have unwanted hair somewhere on our body. That is why I am so excited to talk about this LumaRx full body at home hair removal system. Honestly, I don't have the money to get professional laser hair removal done in 10 sessions on only one area... that is why I love this at home system. Not only can you do it on the comfort of your own home, you can also perform the hair removal on multiple areas per session. I've done two sessions on myself and already see the difference. 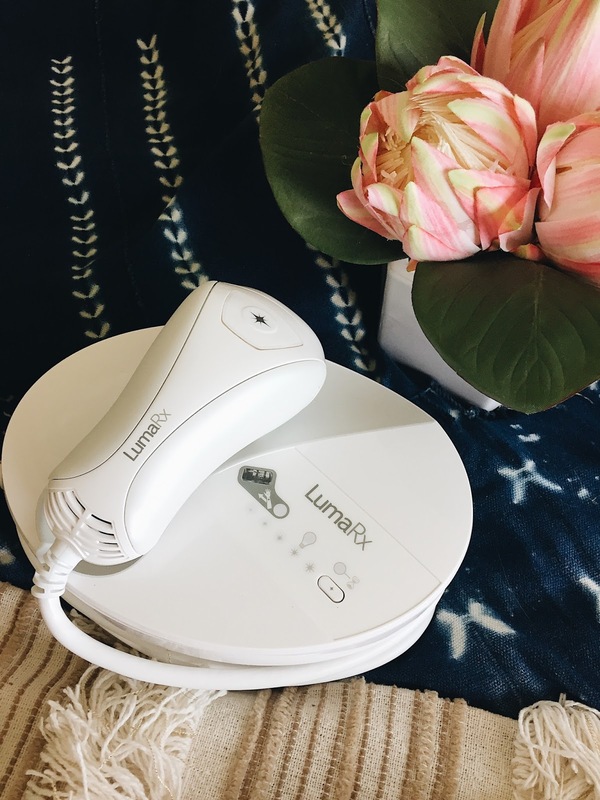 It is super easy to use and has different IPL levels (so you can work up to the pain haha) It's really not that painful if anything it feels like a warm pinch and you totally get use to it. The first time I had my sister over so we were messing around with it... aka she was my ginny pig. She screeched the first time I lasered her, not because it hurts it's just not what you expect. Then it was my turn- I obviously chose to do my face and had to do it myself. It took me a while to click the button, and when I finally did I totally screamed. It wasn't a painful scream it was like a whoa thats what it feels like. We totally had a fun non stop laughing laser party, it was great! Now I have her penciled in for her next session because we are hooked! The machine also comes with two different head pieces, one for you body one for your face. This makes it so easy to use and makes sure you don't overlap each area! You can read more about the system here.